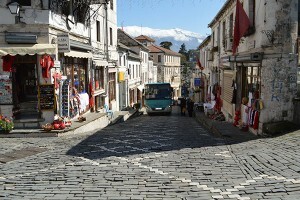 Until the mid 20th century Gjirokastra was an important market centre for agricultural products from the region, leatherworking and woodworking. The combination of administrative positions and vast feudal land holdings provided the basis for the wealth of the town. Nowadays the area is the heart of the touristic interest with many shops, souvenirs, artisan activities and bars and restaurants.